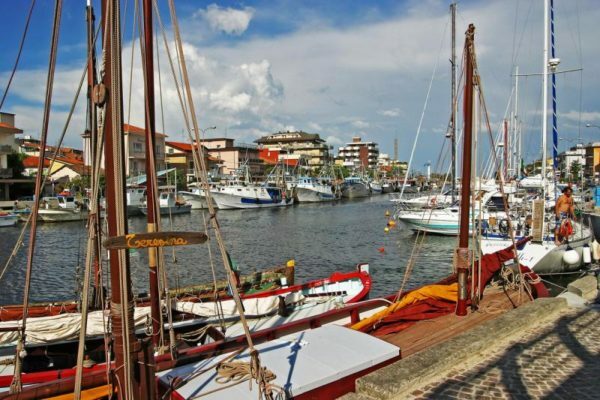 In the eyes of less touristy tourists, Igea Marina is nothing more than a pretty and beautiful blane resort that, along with so many others of the same prestige, makes up the bright constellation of the Romagna territory. An exquisite panorama of services, facilities and attentions that welcome the visitor to the most modern and advanced tourist sites of the national panorama. And if the “Romagna” brand is in itself a good business card, there is still a need to strive to penetrate into the most genuine and authentic spirit and spirit that distinguishes each of the places that make up this body, even in sharing Common values ​​and the same tourist vocation. It is difficult to summarize in the turn of a few words and atmospheres and the sensations that you live on vacation in Bellaria. Sometimes a smell, an object, a noise, a phrase or a photograph to run with memory at the earliest uncertain footsteps, when over a century ago today would seem like an eternity, the great tourist adventure moved in this ancient village Of fishermen, when elegant and abundant gentlemen with long fringing skirts walked on the beach, protecting the delicate embedded in the shade of an umbrella; Or between the villas and the avenues of this picturesque garden city, a little paradise almost unrecognizable from those once hunted by the incursions of Saracen pirates, as is the story of the beautiful Saracen Tower in Bellaria, his pretty twin sister. Rich in green, tidy and fragrant at sea, Igea continues to attract the favor of tourists and travelers, perhaps because of the impeccable organization of the beaches, the vibrancy of cultural and entertainment initiatives that populate the calendar in daytime and in those In the evening, for the bustling streets of boutiques and people, for the undisputed charm of the Gelso Park, the Saracena Tower and the Casa Rossa, home of the literate Alfredo Panzini, for the presence of the European Congress Center, for proximity to Rimini Fiera and Fun parks, sports facilities, hotels, restaurants, pubs, ballrooms and cocktail bars, in the beautiful hinterland, and nearby art cities …. We’ll say, for all or Some of these reasons, or perhaps for anything else, what is certain is that it is extremely easy to fall madly in Igea, try to believe it!